Look through the biographies of the great nineteenth century French painters, often those from the USA and other nations, and you’ll see familiar names appearing as their teachers. These include Léon Joseph Florentin Bonnat (1833–1922) and his teacher Léon Cogniet, who was in turn taught by Pierre-Narcisse Guérin, whose teacher was Jean-Baptiste Regnault. Few of these names are remembered well today, but their pupils often went on to greater things. Among Bonnat’s more successful students were Jean Béraud, Louis Béroud, Gustave Caillebotte, Raoul Dufy, Thomas Eakins, Stanhope Forbes, Henri Geoffroy, PS Krøyer, Edvard Munch, Alfred Roll, John Singer Sargent, and Henri de Toulouse-Lautrec. So what of the master himself? Bonnat was born in 1833 in Bayonne, France, the son of a bookseller, and spent much of his childhood in his father’s bookshop in Madrid. He started making drawn copies of engravings of the old masters, then went to train as a painter with Raimundo de Madrazo y Garreta (1841-1920), who had trained under Léon Cogniet in Paris. 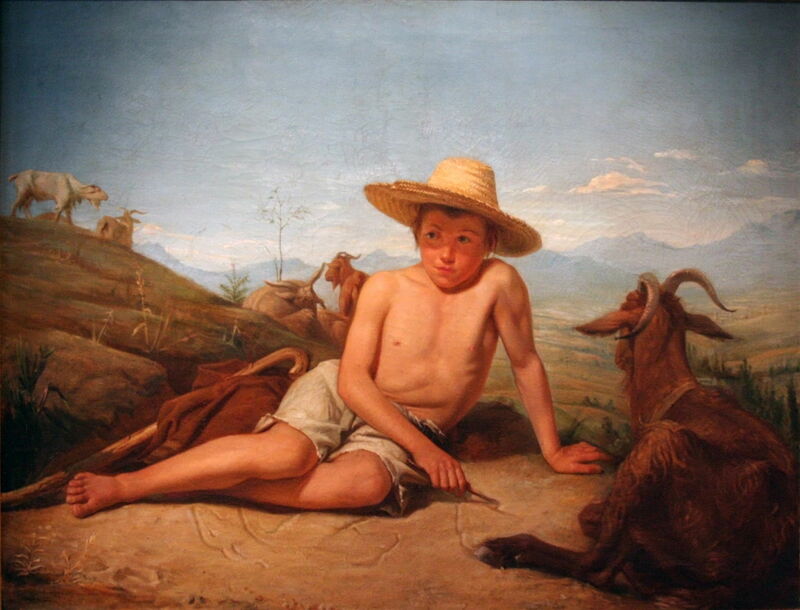 Léon Bonnat (1833–1922), Giotto Tending the Goats (1850), oil on canvas, 105 x 140 cm, Musée Bonnat-Helleu, Bayonne, France. Wikimedia Commons. Bonnat painted this delightful imagining of the artist’s youth in Giotto Tending the Goats in 1850, the year that he turned seventeen. He shows the boy scratching drawings in the ground, looking dreamily into his future. It is an amazing work for someone so young. He moved to Paris, where he trained under Paul Delaroche and Léon Cogniet, both accomplished history painters. He entered the Prix de Rome several times, but only managed second place. Fortunately, his hopes of painting in Rome were realised by a travel award from his native Bayonne. Léon Bonnat (1833–1922), The Resurrection of Lazarus, or The Raising of Lazarus (1857), oil on canvas, 112 x 145 cm, location not known. Wikimedia Commons. 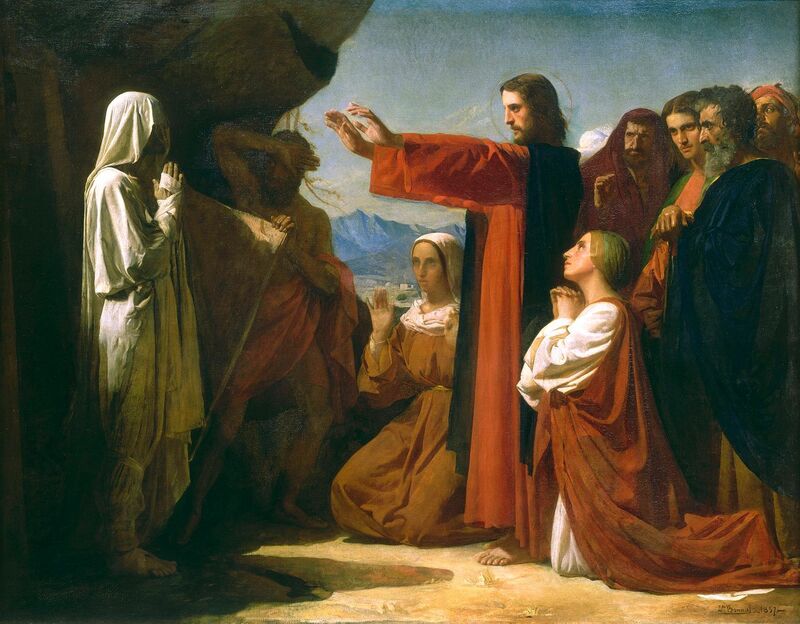 Although Bonnat painted relatively few religious works, The Raising of Lazarus from 1857 gives a good idea of his early style. Bonnat lived and painted in Rome from 1858-60, where he was friends with Edgar Degas and Gustave Moreau. Léon Bonnat (1833–1922), Young Woman Paying Charity at the Entrance of the Chapel of the Hospital of San Sebastian in Cordoba (1863), oil on canvas, 110 x 130, Musée Goya, Castres, France. Wikimedia Commons. 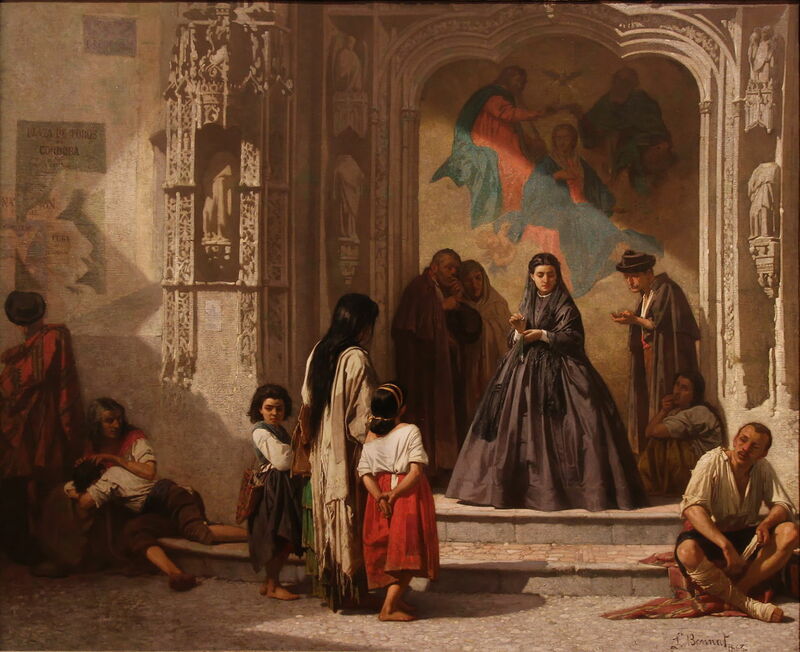 He continued to paint fine figurative works, such as his Young Woman Paying Charity at the Entrance of the Chapel of the Hospital of San Sebastian in Cordoba from 1863. Here he contrasts the young woman dressed in her fine black clothing accompanied by those seeking alms, with the wall painting of the Trinity behind them. This work has more than an air of social realism about it too. Léon Bonnat (1833–1922), Italian Woman (c 1865), oil on canvas, 41 x 31.5 cm, Hermitage Museum Государственный Эрмитаж, Saint Petersburg, Russia. Wikimedia Commons. Bonnat continued to travel extensively in Europe. 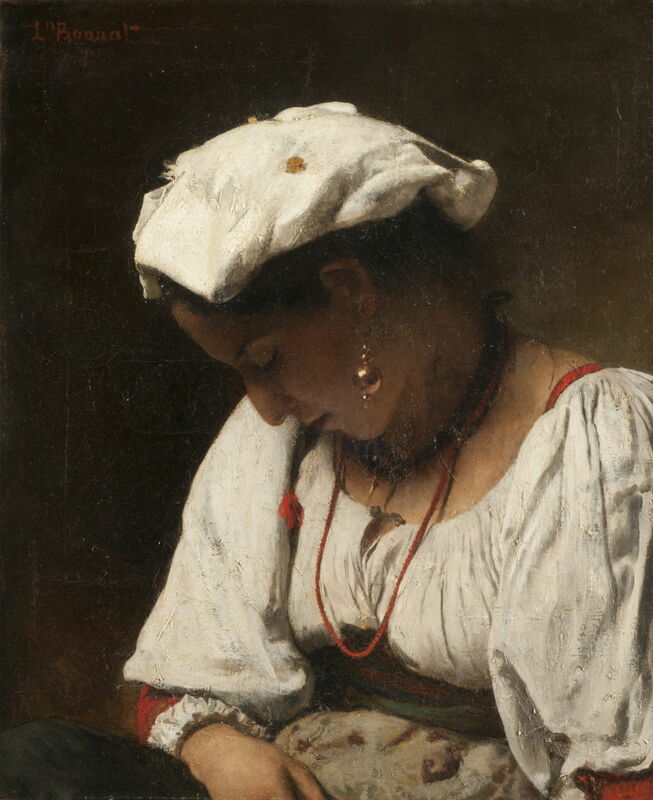 It was presumably during a visit to Italy in the mid 1860s that he saw and painted this sad and wistful young Italian Woman (c 1865). In 1869, he was awarded a medal of honour at the Salon in Paris, which established his reputation and career. He quickly became a sought-after portraitist, and ranked as one of the leading artists of the day. His paintings were praised by the most influential critics, including Théophile Gautier and Émile Zola. 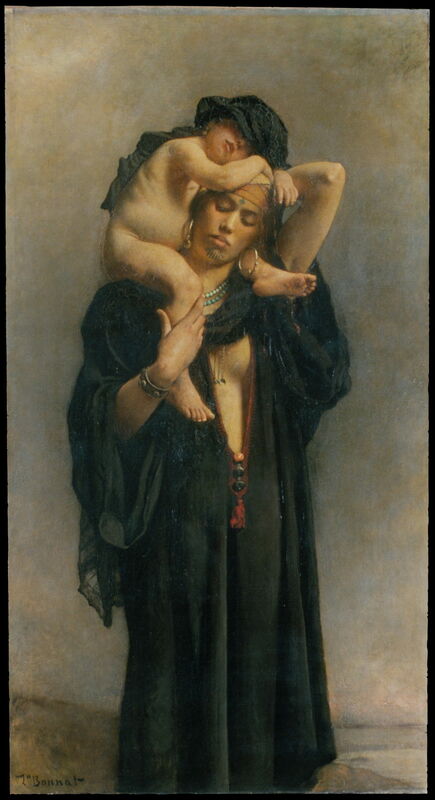 Léon Bonnat (1833–1922), An Egyptian Peasant Woman and Her Child (!869-70), oil on canvas, 186.7 x 105.4 cm, The Metropolitan Museum of Art, New York, NY. Wikimedia Commons. He didn’t just paint the portraits of the rich and famous: An Egyptian Peasant Woman and Her Child from !869-70 gives deep insight into the Middle East behind the exotic façade of Orientalism. This painting was exhibited at the Salon in 1870. Léon Bonnat (1833–1922), The Victim (1870), oil on canvas, 61.2 x 50 cm, Museo Nacional de Bellas Artes, Buenos Aires, Argentina. Wikimedia Commons. Bonnat painted The Victim in the year of the Franco-Prussian War, 1870. Although it isn’t clear to me what she is a victim of, I suspect that this may relate to that great tragedy for France. His style may be ‘academic’ in its realism, but his facture is very different from that of Bouguereau, for example, and more akin to that of Manet, who was a friend of Bonnat’s. Léon Bonnat (1833–1922), Arabian Sheikhs in the Mountains (1872), oil on canvas, 78.5 x 121.5 cm, Hermitage Museum Государственный Эрмитаж, Saint Petersburg, Russia. Wikimedia Commons. 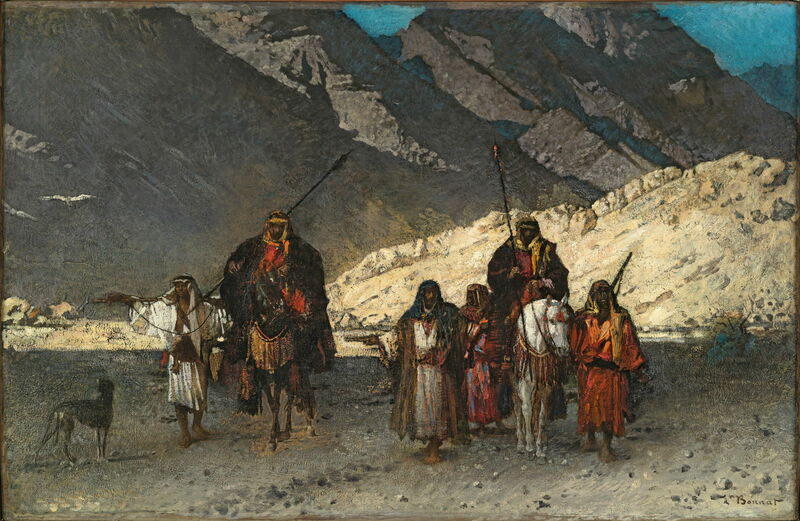 Another of his unconventional ‘Orientalist’ paintings is Arabian Sheikhs in the Mountains from 1872. This is extremely painterly, with a paint surface as rough as its terrain. 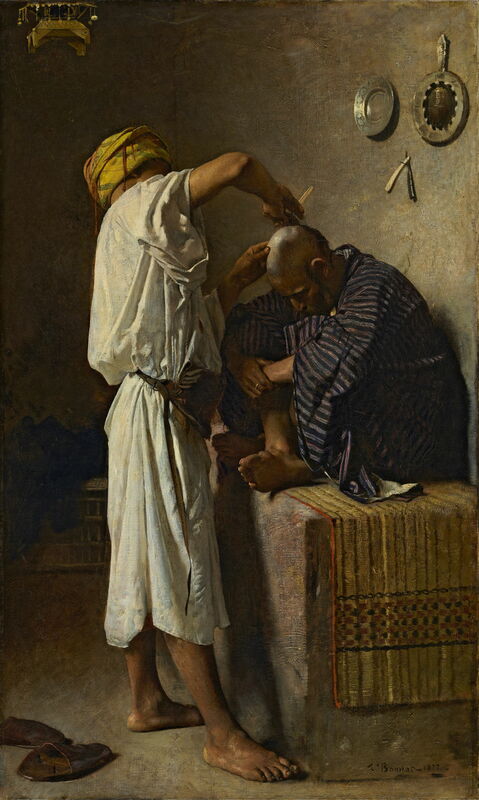 Léon Bonnat (1833–1922), An Oriental Barbershop (1872), oil on canvas, 100.5 x 60 cm, Pushkin Museum of Fine Arts Музей изобразительных искусств им. А.С. Пушкина, Moscow, Russia. Wikimedia Commons. An Oriental Barbershop from the same year is rather tighter in its brushwork, and declares its ultimate descent from Regnault. Léon Bonnat (1833–1922), Christ on the Cross (c 1874), oil on canvas, dimensions not known, Petit Palais, Paris. Wikimedia Commons. 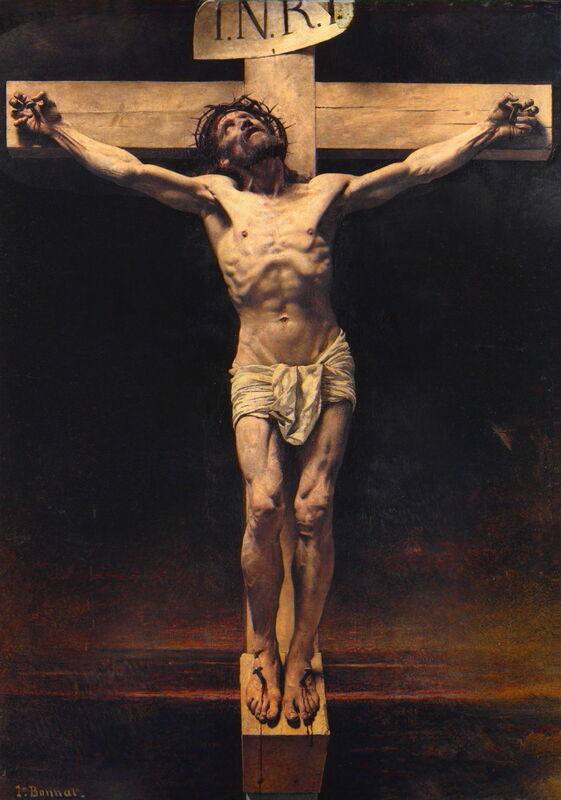 Christ on the Cross from about 1874 is perhaps the best demonstration of his mastery of the figure, a formidable example for his students. 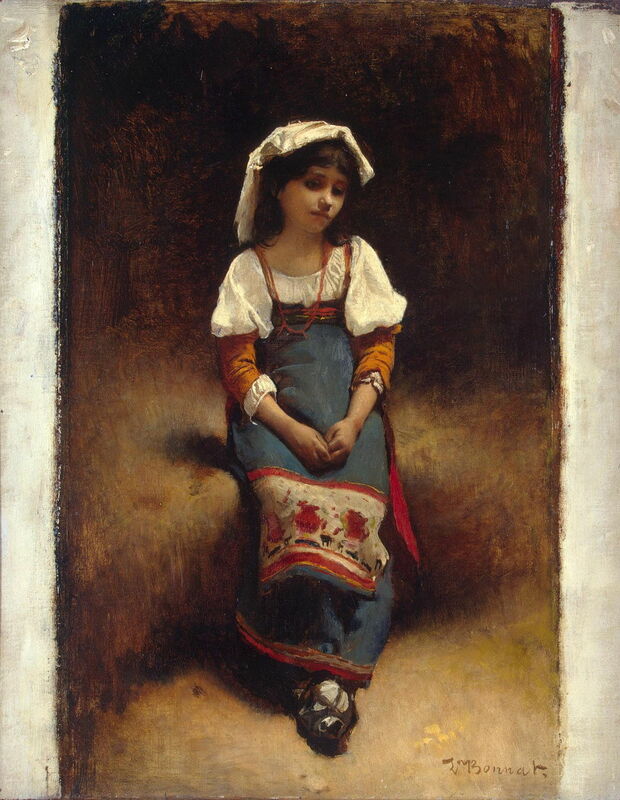 Léon Bonnat (1833–1922), Roman Girl at a Fountain (1875), oil on canvas, 170.2 x 100.3 cm, The Metropolitan Museum of Art, New York, NY. Wikimedia Commons. 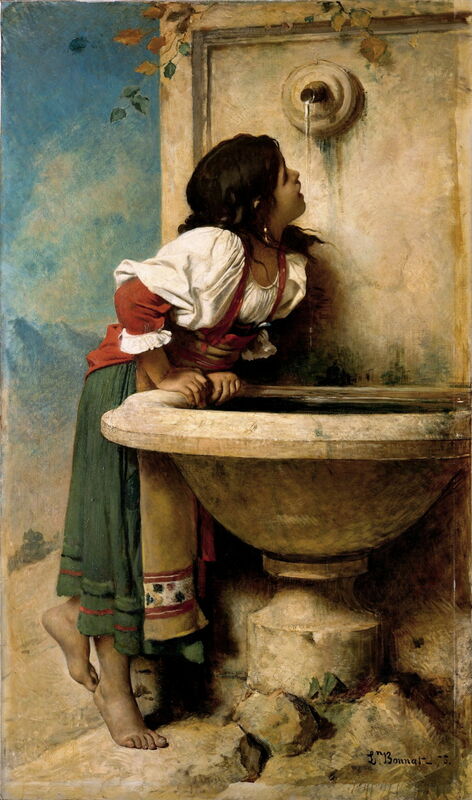 Roman Girl at a Fountain from 1875 adopts a much lighter theme, in which the careful detail and finish of the figure is set in a more sketchy and painterly surround. In 1882, he was appointed a professor at the École des Beaux Arts in Paris, and ran one of the two teaching ateliers there, the other being run by Pierre Puvis de Chavannes. Bonnat’s middle age brought commissions for large works in public buildings, including the Panthéon and the City Hall of Paris. Léon Bonnat (1833–1922), The Martyrdom of Saint Denis (1874-88), oil on canvas marouflée, dimensions not known, The Panthéon, Paris. Wikimedia Commons. 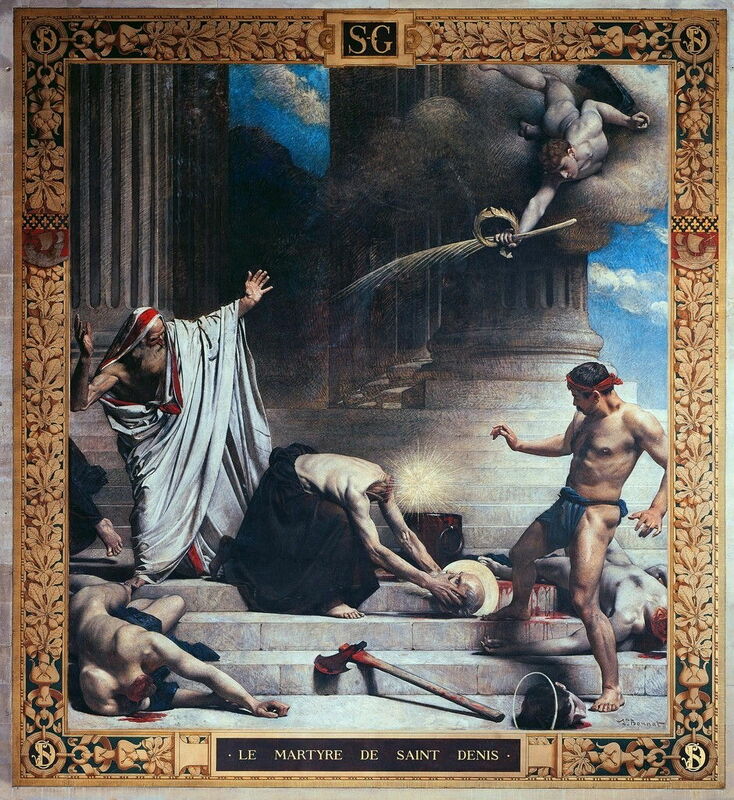 The Martyrdom of Saint Denis is Bonnat’s ornate showpiece in the Panthéon, which he painted between 1874-88. According to legend, Saint Denis, patron saint of the city of Paris, was martyred by beheading on Montmartre hill in Paris – and one possible origin of its name, from the Latin mons martyrum, the ‘martyr’s mountain’. It is claimed that after his head had been cut off, Denis picked it up and walked around preaching a sermon. The legendary location became a place of veneration, then the Saint Denis Basilica, and the burial place for the kings of France. This was a popular motif for miniatures in the later Middle Ages. 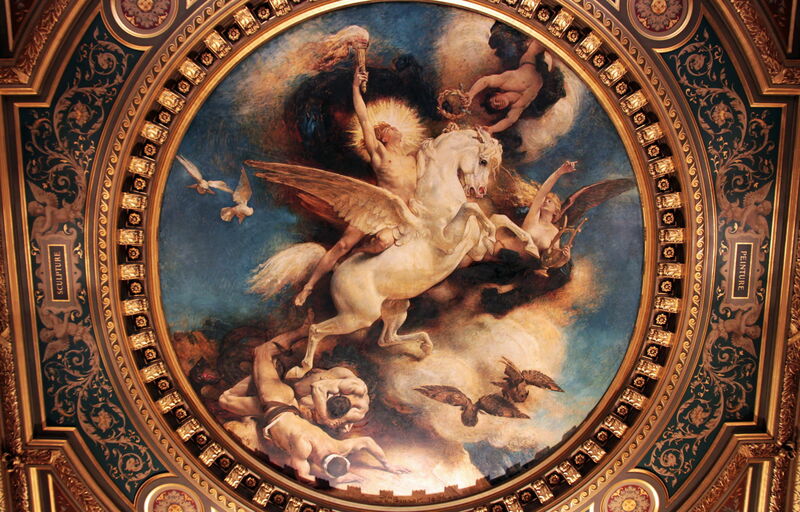 Léon Bonnat (1833–1922), The Triumph of Art (1894), painted ceiling of the Arts Room, dimensions not known, Hôtel de Ville, Paris. Image by NonOmnisMoriar, via Wikimedia Commons. Bonnat’s painted ceiling in the Hôtel de Ville in Paris, made in 1894, is a fantastic allegory of The Triumph of Art, and perhaps more a tribute to a long-gone era in painting. As an expression of gratitude for the support which he had received in his training by the city of Bayonne, he founded and built the Musée Bonnat there in his late career. To this he gave his private collection of art, including many important old master drawings. Léon Bonnat died on 8 September 1922. His own work has now largely been forgotten, while that of many of his students lives on. There’s no point in signing an app or any other code resource unless you test whether its signature works before it’s used for real. Although normally a reliable process, lots of things can go wrong with signing, and the time to confirm that they haven’t is straight after you’ve signed the app. which is intended to mimic the checks performed by Gatekeeper on a quarantined app. Unless you thoroughly understand what you are doing, these can become complex and easy to get wrong. If they tell you that your app is signed correctly but it isn’t, they can give you a false sense of confidence. For these reasons, I only recommend their use by the experienced and knowledgeable. Every Mac user needs to be able to inspect the signature of apps, and the best way to do this is using Objective-See’s free What’s Your Sign?, which puts this in the Finder’s contextual menu (Control-click etc.). Simply select the app and use the Signing Info command. 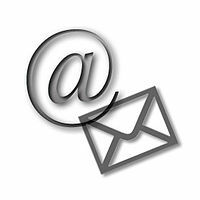 If you have applied an ad hoc signature to your app, then What’s Your Sign? reports that it has been validly-signed, but points out that there are no signing authorities. Without those authorities, some signature-based requirements, notably Gatekeeper’s full check with a quarantine flag, will fail. If you have used a personal certificate, What’s Your Sign? identifies that too, and once again a full check by Gatekeeper with the quarantine flag set will fail. The most reliable and detailed test that you can apply is to assess whether the signed app meets it designated requirement, in other words use it with the sub-system which it has to satisfy. In the case of Gatekeeper, you can upload your app to a remote site, download it using your browser, and test the downloaded version. You can also mail it to yourself, or move it by AirDrop. Simpler and quicker than those is to apply a quarantine flag then try opening the app. This is readily done using my free Xattred extended attribute editor: open your app, click on the button to Add quarantine xattr, then try opening the app in the Finder. In the case of ad hoc signing and that using a personal certificate, this is what you will see in response: those signing methods are not sufficient to pass Gatekeeper’s full checks. Given that ad hoc signing and personal certificates can’t satisfy this particular requirement, the presumption in your using them is that they do enable another feature which expects code to be signed but not as rigorously, such as TCC’s privacy requirements, perhaps. You then need to check that your signed app behaves as expected with the macOS sub-system it requires. This is much harder to do using command tools, but a simple real-world functional check is better. If your app needs Full Disk Access, try adding it to that list in the Privacy settings and browsing into your ~/Library/Mail and ~/Library/Calendars folders. As I’ll discuss in a future article, gaining access to specific controlled resources like the camera and microphone is more intricate: if you need that, then you’re almost certainly going to be better using Xcode with a proper Developer ID and signing, and the Gatekeeper test. One final free tool which can be helpful when wrestling with signature problems and entitlements is Taccy. This goes more deeply into settings for sandboxed and hardened apps, and shows important privacy data from the app’s Info.plist file. If you’re getting into these weeds, you should be using a Developer ID with Xcode, or you’ll find the going difficult to say the least. This conveniently takes me to getting the best out of Mojave’s privacy protection, the subject of the next article.